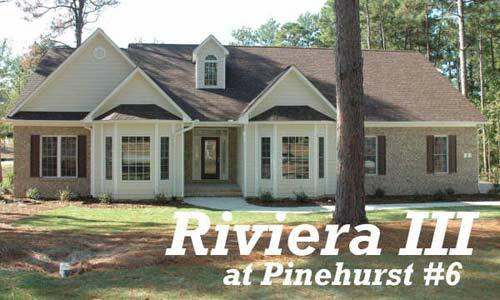 The Riviera III is in the perfect location in Pinehurst 6. This 3 Bedroom, 2.5 Bath house has a magnificent curb appeal with an exterior facade of brick and vinyl box cedar shake bay windows. A grand entryway with an open dormer above and hardwood floors leading you into the spacious Living Room with a decorative palladium window. 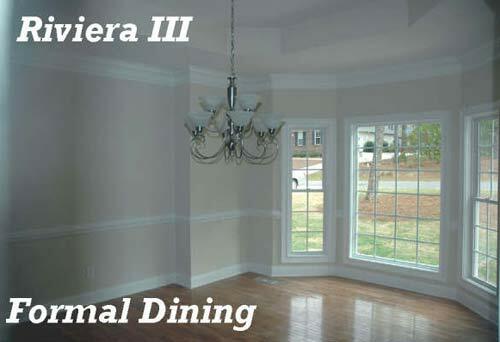 The unique Dining Room features hardwood floors, a bay window for extended space, a hexagon raised tray ceiling with double crown moldings and even a cut-out in the side wall to make room for a china hutch. Decorated with beautiful maple cabinets and granite silestone countertops, the Kitchen is conveniently located in between the Dining Room and Breakfast area. A half bath with pedestal sink serves the main living areas. There is also an oversized Laundry Room equipped with a wash bin sink. The enormous Master Suite includes his and hers vanities, a corner Jacuzzi and a glass acrylic block window for privacy and natural light. 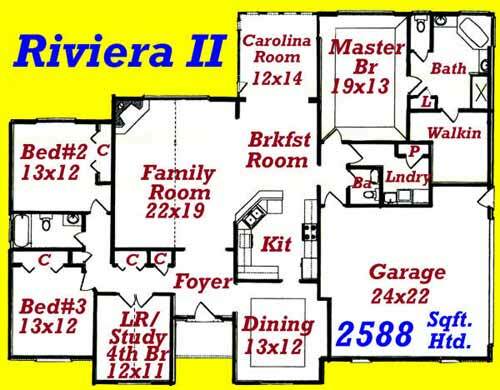 It also features a separate room with window for the commode and a giant walk-in closet. The split side of the house has two bedrooms that share a bathroom and an office/study or third bedroom with double pocket doors and a bay window. The rear Carolina Room with oversized windows leads out to a back deck with a walk-around to the double car garage with attic space above. 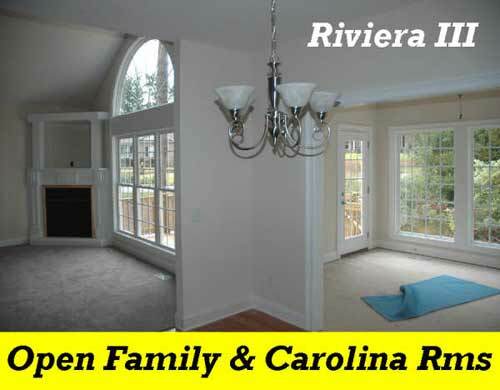 This impressive plan is on a premiere corner lot with permanent woods. Now ready for occupancy. Give us a call or for more information at 1-800-849-2645.